Each chapter concludes with a prayer you can follow or use as a model for your own prayers. Women of all ages will find hope and purpose for their lives with The Power of a Praying® Woman. 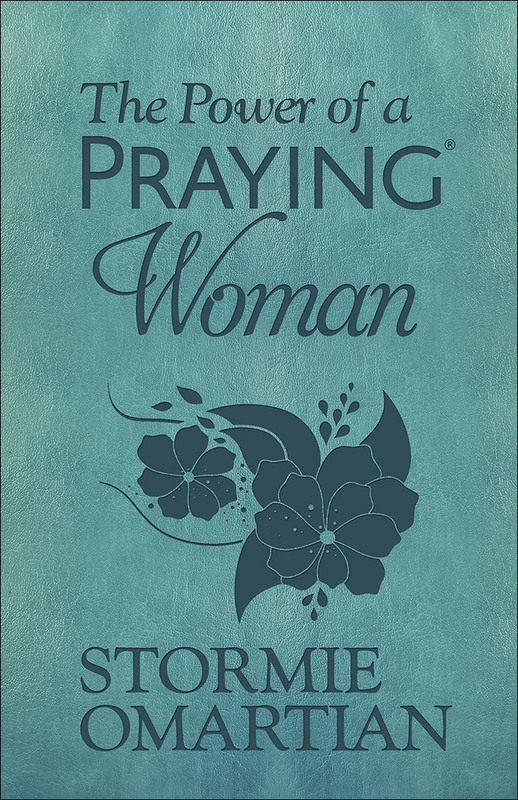 "In The Power of a Praying® Woman, Omartian's deep knowledge of Scripture and candid examples of her own struggles and epiphanies in prayer provide reassuring guidance for those who seek a greater sense of God's presence in their lives. Women will discover how to trust God with deep longings, not just pressing needs, pray when life seems out of control, effectively cover every area of life in prayer, maintain a right heart before God and rebuild a faltering prayer life." "The Power of a Praying Woman by Stormie Omartian reminds us that God longs for us to be in His presence. I love that there's a prayer and a list of promises from God to us in every chapter." "I was impressed with how much this book managed to cover in a woman's life and how much of it were things I could relate to." "This book was way more than a self help book or an instruction manual, it is a tool that can help women of all ages connect with God." "I am thankful for these books and will continue to pick them to refresh my mind and heart. Thank you, Stormie."